Let’s be real – life is hectic, especially for a blogger. 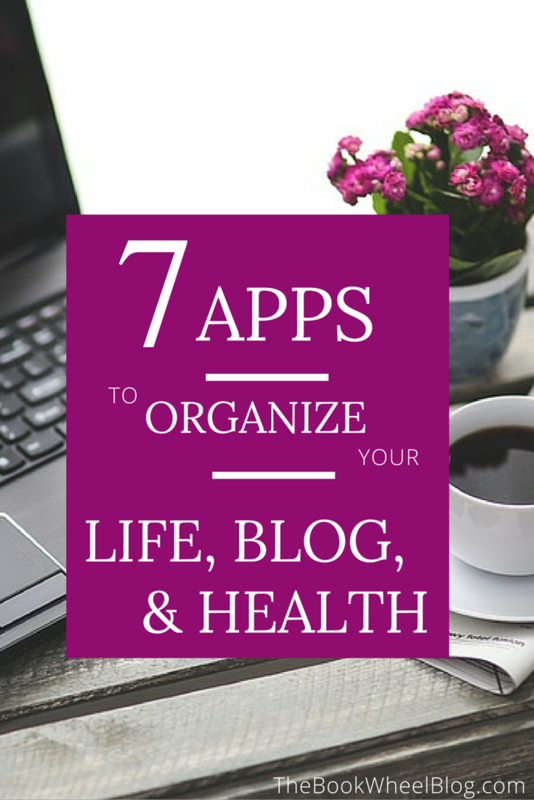 Not only is it difficult to balance work, life, and blogging, but there are a million apps out there that promise to make your life easier. I, myself, have downloaded most of them. I’ve tried EverNote, Wunderlist, the WordPress mobile app, several different health apps, and more email clients than I care to admit. So while I can’t promise you that you’ll love the following apps as much as I do, I can promise you that they are worth checking out. Some are free and some are paid, but almost all of them come with a free trial so you can find out for yourself. OmniFocus (mobile and desktop) – Part of the OmniGroup, which has a variety of organization tools, OmniFocus is a task management app that is completely customizable. You can add tasks, organize by project, add notes, and more. The desktop app allows for streamlined viewing by project, due date, and more, while the mobile app is simple and minimalistic. Boxer (mobile) – Spruce up your email app for your mobile device by grabbing Boxer. With customizable swipe options, you can flag things or add them to your to-do list with the slide of a finger. Your to-do list automatically creates a folder in your email account, so you can access it easily with whatever desktop mail client you’re using. iDashboard (mobile) – This is, by far, the best Google Analytics app you can get. It incorporates your targets (such as sessions, views, etc.) and tracks your progress with color coding. So, if you want to average 3 users on your site at all times, you can view that. Like most analytics apps, it shows you your stats by present time, day, week, and month, but it also compares your stats to the previous day by showing you, at any given time, what percentage and totals your views are compared to the day before. It also lets you decide what metrics to show in the dashboard, so you can track what’s most important to you. Zemanta Editorial Assistant (WordPress) – I have tried just about every related posts plugin you can get, but most either only include your own posts or only include posts by others. Plus, you don’t get to choose the content that is shown. Not so with Zemanta Editorial. This plugin lets you choose what content to include and inserts it right into the post. You can add 1 related article or 10 – it’s completely up to you. Plus, each new post gets uploaded into their database for both you and others to share. Even better, it lets you add sites that you follow and want to promote, automatically pulling their related posts into the generator so that you can decide. In short, you can mix things up and add your own content, content by your friends, and content from major sites all in one handy place. CoSchedule (WordPress) – Move over WP Editorial Calendar, there’s a new scheduler in town! CoSchedule incorporates all of the great features that other calendars offer but takes it up a level. The bonuses will save you hours of social media management by allowing you to set up future social shares for your posts as you create them. Say you write a new post. You can, within the same dashboard, create social shares for that day, the next day, the next week, or any other time that you want. And if you don’t want to login to WordPress, you can access your information on the CoSchedule website itself. The best part? It has a little icon on the calendar showing you how many times your post has been shared. It’s basically Bitly tracking + Editorial Calendar scheduling + Buffer – and it integrates with all of them. 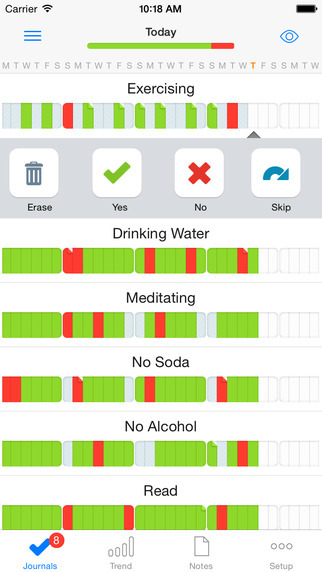 Watero (mobile) – I’ve never been someone who drinks enough water but this app is a great reminder. I downloaded 4 different water apps, but this is the one that I kept. You put in your daily goal, the start and end times you want your reminders to come, and then it automatically calculates how often to remind you based on your default glass size. It also lets you customize you alert message, so mine says “Drink more water or you will die of dehydration.” It’s much more effective than a generic reminder! Way of Life (mobile) – Consider this a to-do list for life. Add in your yes/no goals and check them off as you go – then track how often you’re doing what you say you’re going to do. It’s a great app for building habits and I used it when I gave up meat. You can also use it for exercise because it has a “skip” function so that you can skip logging a yes or no without interfering with your trends. Simple and effective.